Transformers Live Action Movie Blog (TFLAMB): Transformers 4 Filming in Marine City, MI? Transformers 4 Filming in Marine City, MI? , the production might be adding Marine City, Michigan to their slate of locations when they visit the state soon. 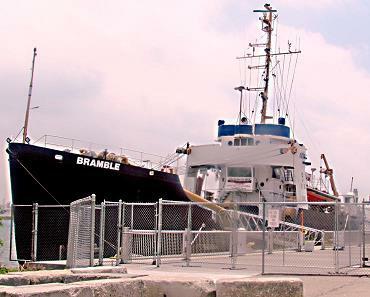 It seems the production has an interest in using the US Coast Guard Cutter Bramble in the film. Thanks to Wynton R. for the link. Officials with “Transformers 4” have contacted Bramble owner Bob Klingler, of Marine City, about possibly filming some scenes at the ship site. While there is no official agreement yet, Klingler is hopeful. “We’ve been approached, and we sat down and talked, and we’re waiting for a decision,” he said.